Muse, n. a woman, or a force personified as a woman, who is the source of inspiration for a creative artist. Seems fitting that a sailing ship should serve as a muse. Some historians believe that the ancients dedicated their ships to goddesses. In Latin, the gender for the word ship (or navis) was feminine. Then as customs changed, ships were dedicated to important women. Captains and sailors of the past thought of their ship as their home and their love. 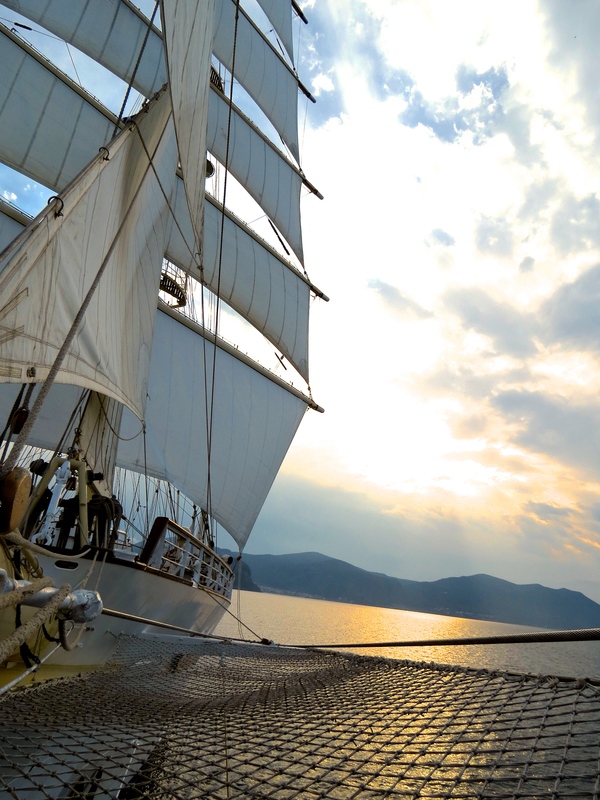 For me, the sailing ship has been a source of imagined and romantic travel. Enchanted with the splendor and grace of the sailing ship, a masterful creation, a work of art, I fell for sailing the frothy seas that inspired waves of passion for life as the salt air wind blew away doubts and dreams unfurled. Inspiration from a sailing ship comes in many forms: a model, painting or sculpture. These recreations tell stories of the human experience at sea. Whether sailing the Mediterranean, Doubtful Sound in New Zealand or the coves of Maine, viewing the landscape from a Clipper enhances the travel experience. The wind billows the sails and the bow slices through the waves as the hand of nature pushes the vessel to the next destination. On a recent voyage of the Star Clipper, a full-rigged barquetine sailing ship, the vessel pushed off from the Lisbon dock and began a series of maneuvers. Rather than heading directly out to sea and under the Vasa de Gama Bridge, Star Clipper sailed in the opposite direction, only to complete a full circle and begin the exercise again. 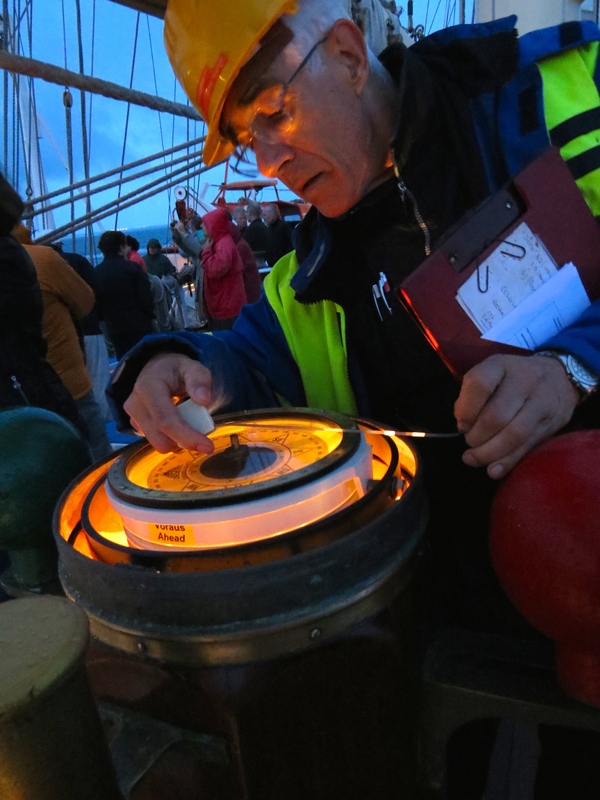 The ship found its way to the open sea as the engineer consulted the sextant.